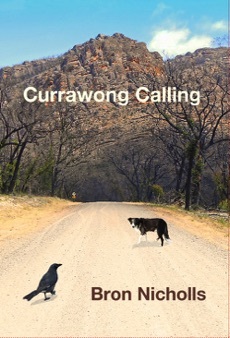 ‘Currawong Calling’ a book for younger readers by Bron Nicholls, acclaimed author of ‘Three Way Street’ and ‘Mullaway’ (which was adapted into the motion picture 'Mull' staring Nadine Garner). 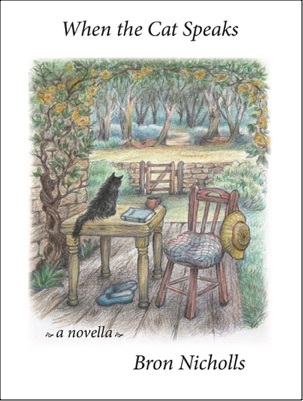 Nicholls writes for the more reflective reader and never talks down to her young audience. Like her previous books, this one enters the inner world of a young person confronting the challenges of growing up, of engaging with change, and responding to the demands that an adult world places upon a child's world. This one tackles the tricky topic of anxiety with a lightness of touch that is almost delightful - except for the very real nature of the experience. It is a story for which there is bound to be, sadly, an often too silent readership - but this book will give heart to anyone who opens it, and Pomonal Publishing is proud to bring it into print. It is available for purchase from June 30th. This is a limited edition publication from the acclaimed Australian author so you will need to contact us to order copies. Review copies will be made available free on upon request. Pomonal Publishing is a small independent publishing venture based in the Grampians. Still very new, we are delighted to introduce to our growing list of authors. We are an unusual 'company', as we are free floating creatives who come together for the duration of projects or as skills are needed. We operate on a not-for-profit basis, producing books at cost price via on-line print on demand facilities. The author is able to set their royalty requirements with the printer, but the publishing house gets nothing. Committed to the idea that authors should retain all rights, and have some creative input into the design of their own book, Pomonal Publishing aims to remain small, publishing only works we deem of literary value and that mainstream publishing houses overlook.